At last, at last, the fruit of all the labours of this winter and chunk of spring . Ladies and gentlemen, followers, readers, lurkers, browsers, casual visitors…do you have an iPad? If you do, then you must please rush to the AppStore to download our little brainchild, the Bodas Reales app. Right now we only have the Spanish version, but the English one will be up as soon as those lovely folks in California give it the green light. It´s the first app in the portfolio of Terrier Digital, our brand new e-publishing house. You can see all about us in the website, and check out upcoming apps. 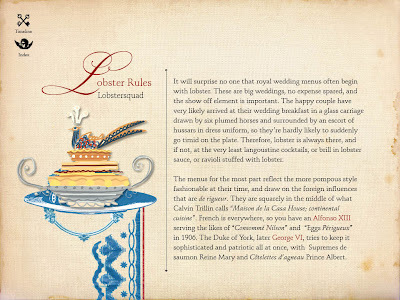 Lobstersquad is going to get a beautiful iPad version, aren´t we lucky? This first one is about royal weddings, so it´s all princesses and dresses and what not, a lot of fun, of course, but there´s also food, fear not. 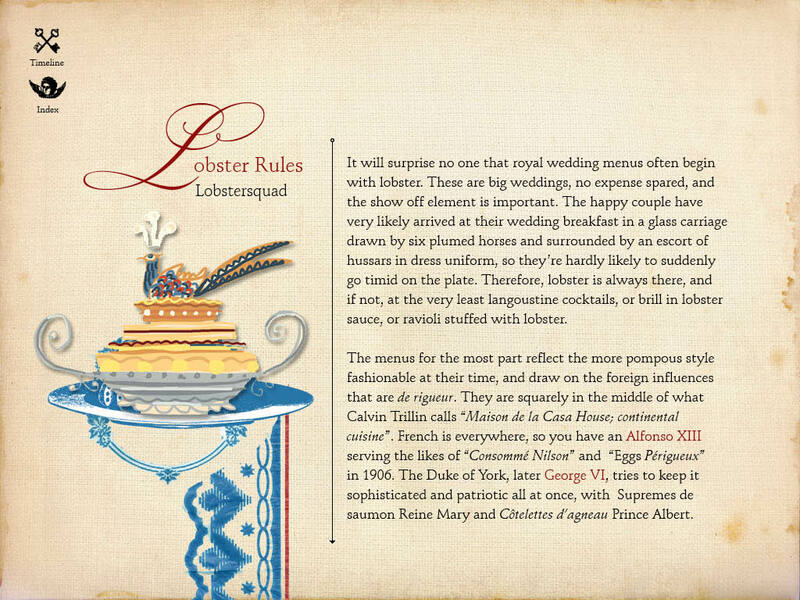 I wrote a piece about royal wedding menus, which, as you can imagine, are heavy on the lobster. If you have no iPad yet, you can see a few screenshots in our Facebook page. I´ll be back soon to remind you when the English version is up. Posted by lobstersquad at 9:34 a. m.